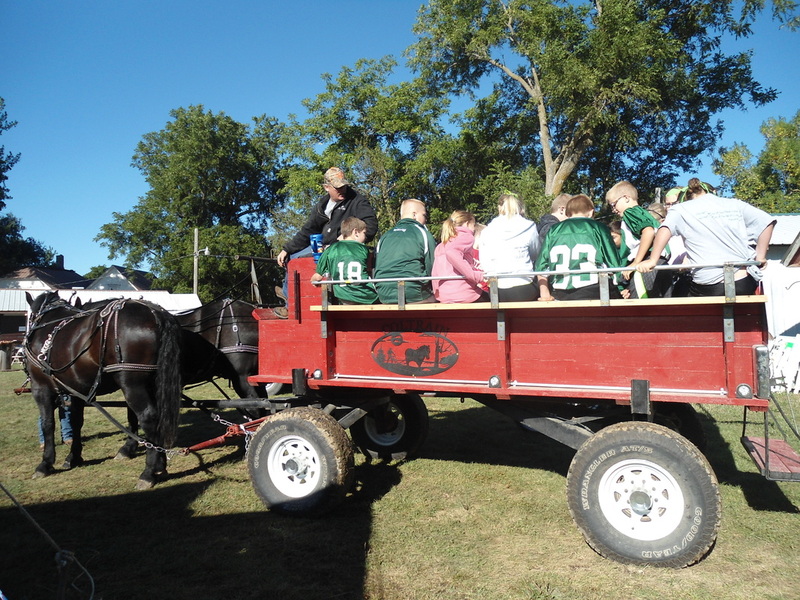 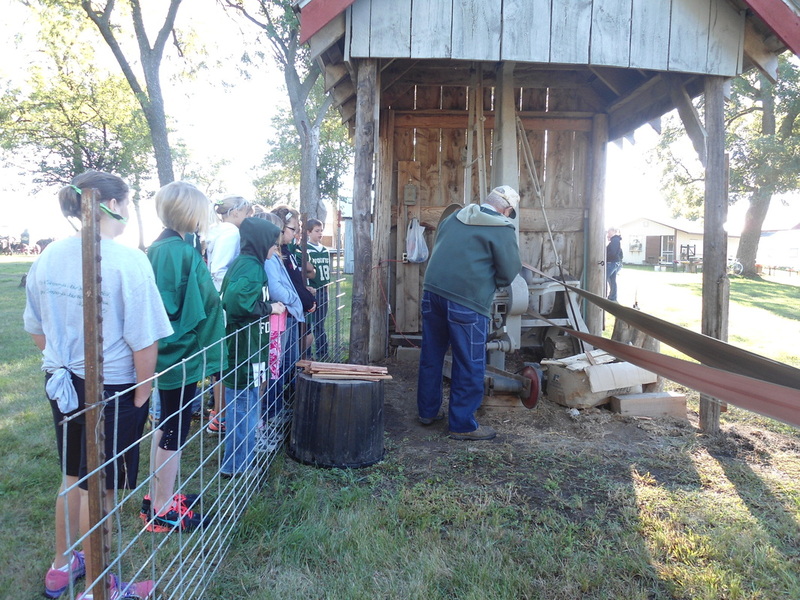 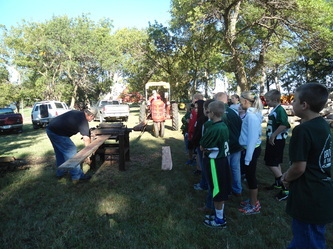 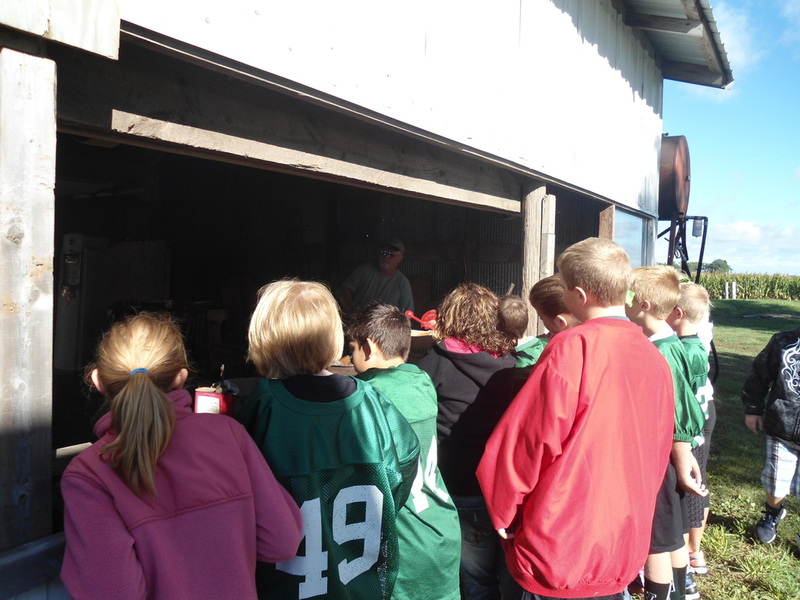 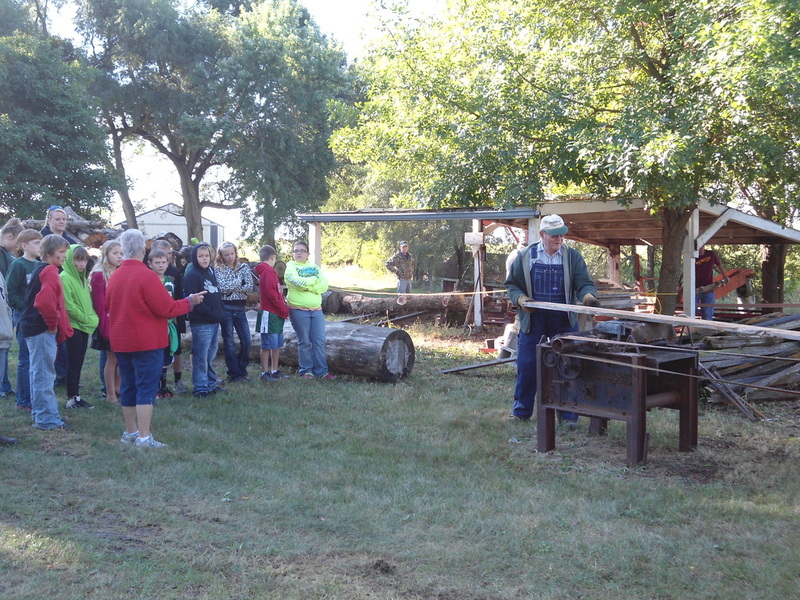 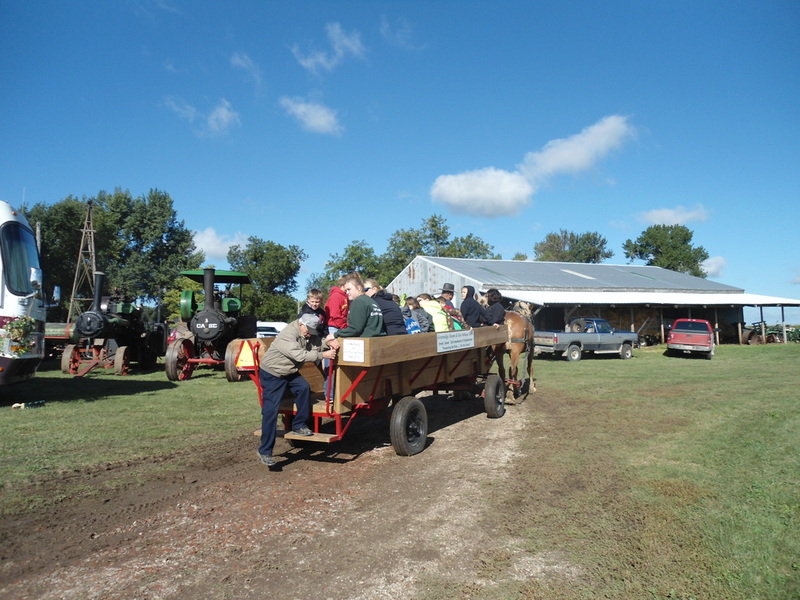 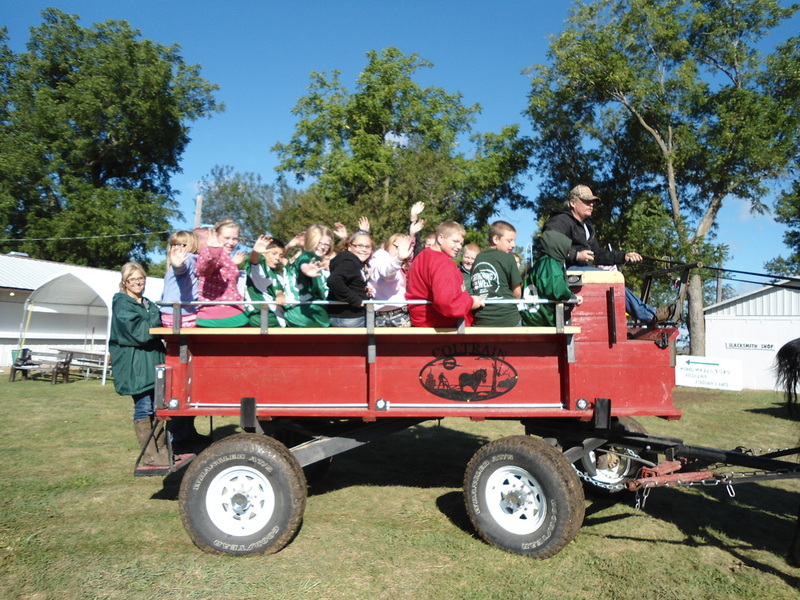 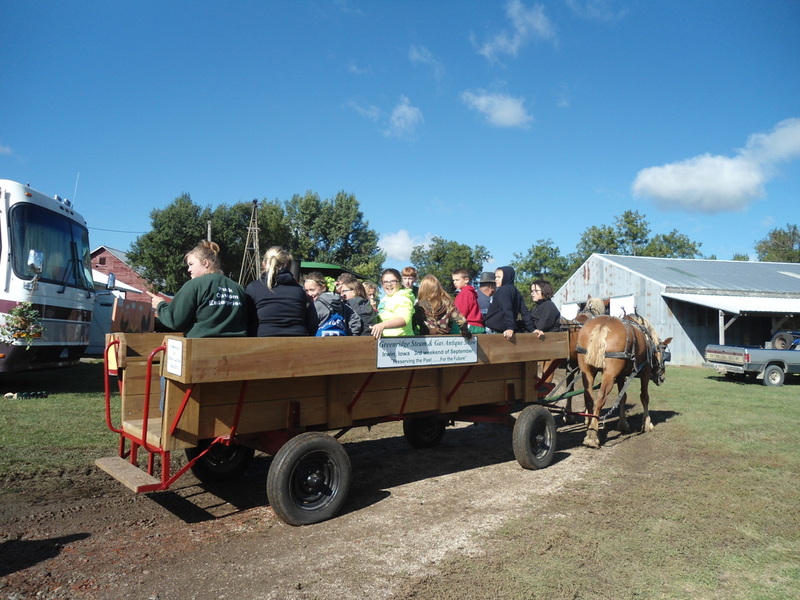 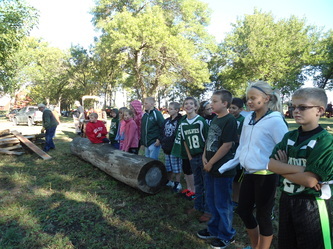 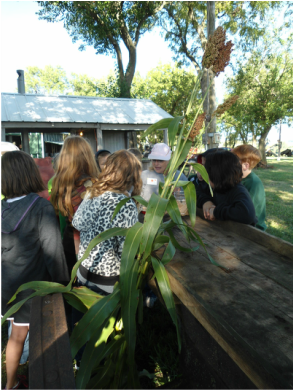 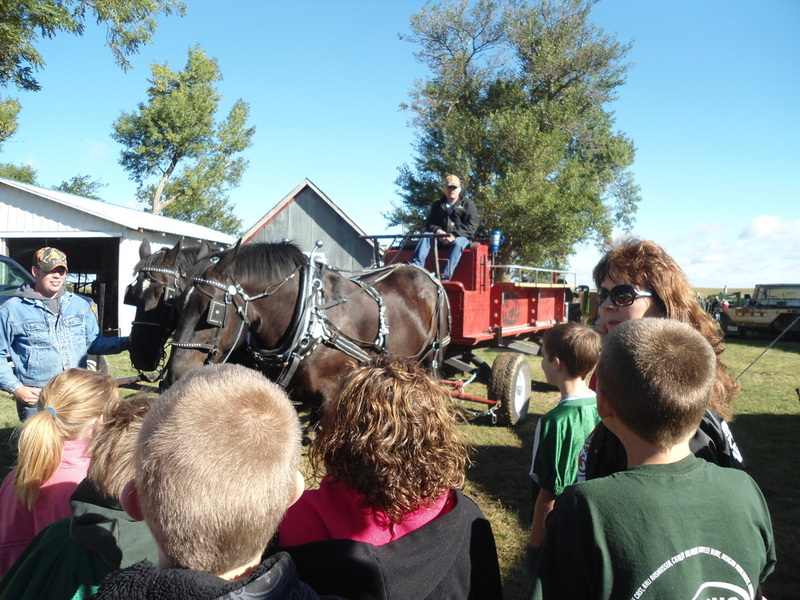 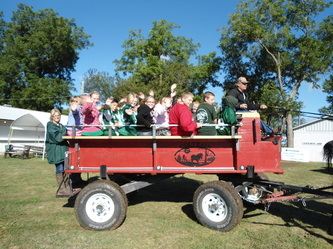 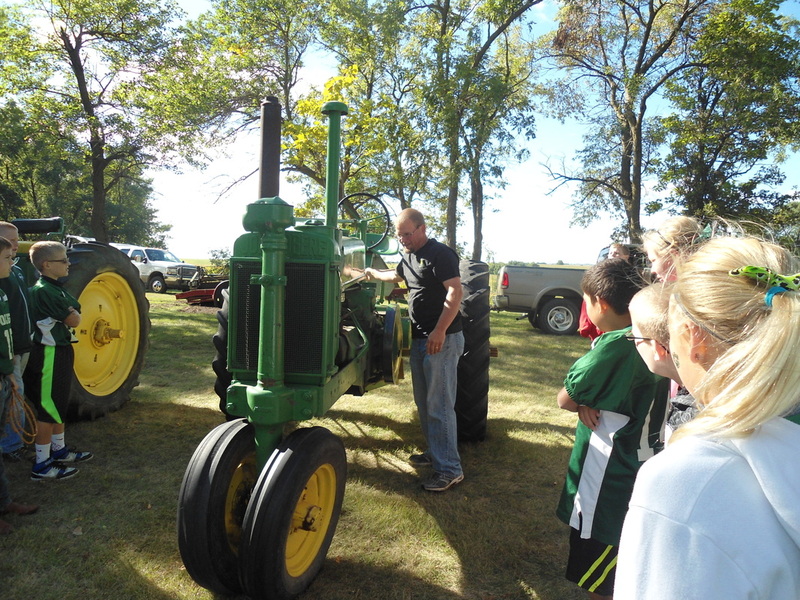 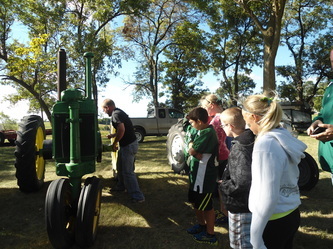 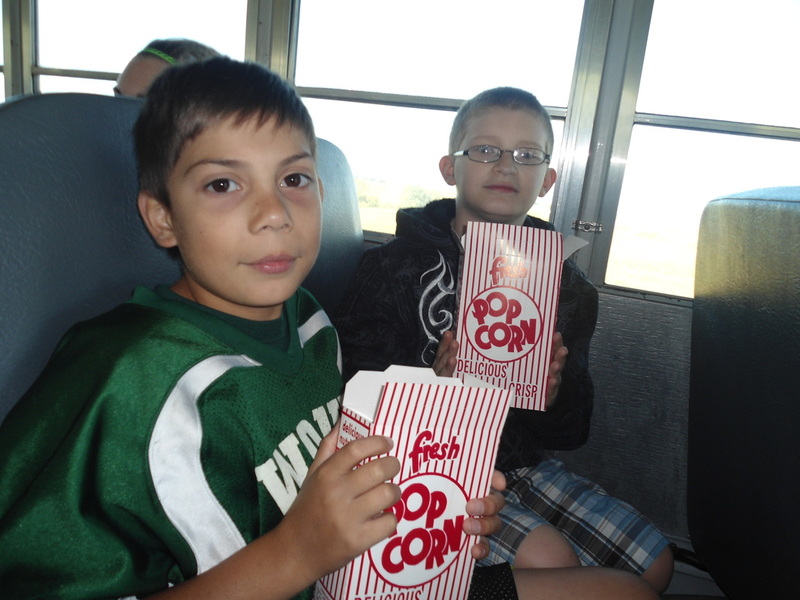 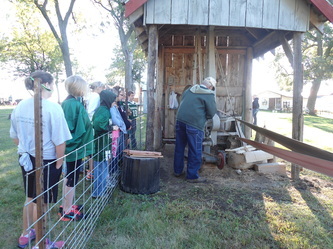 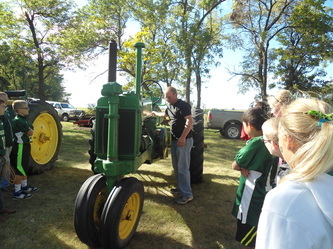 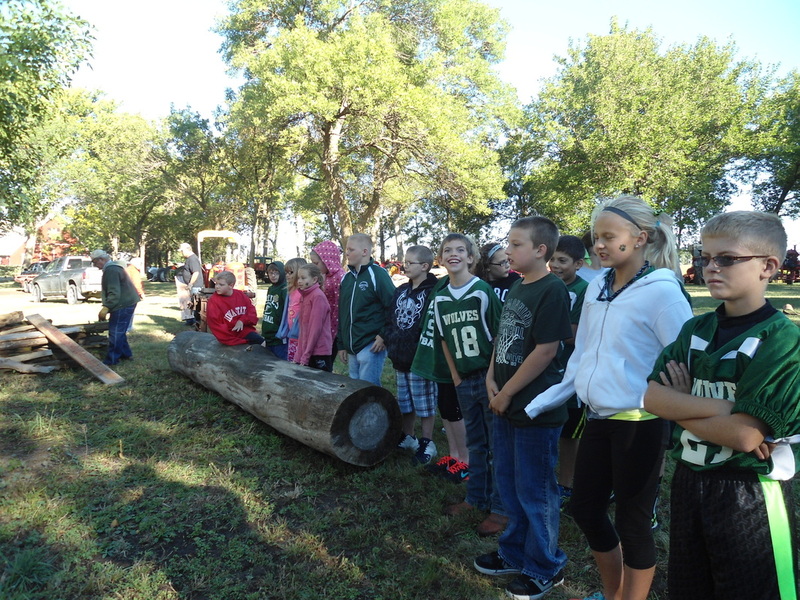 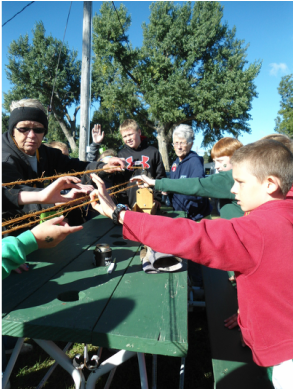 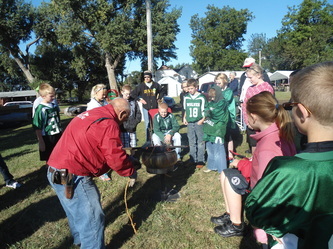 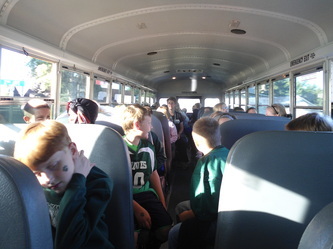 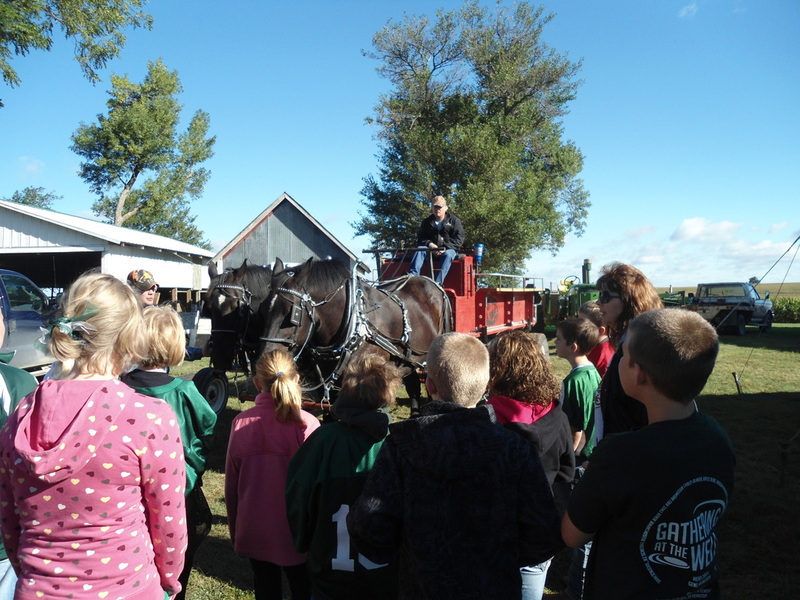 The fifth grade classes went to Greenridge for a field trip. 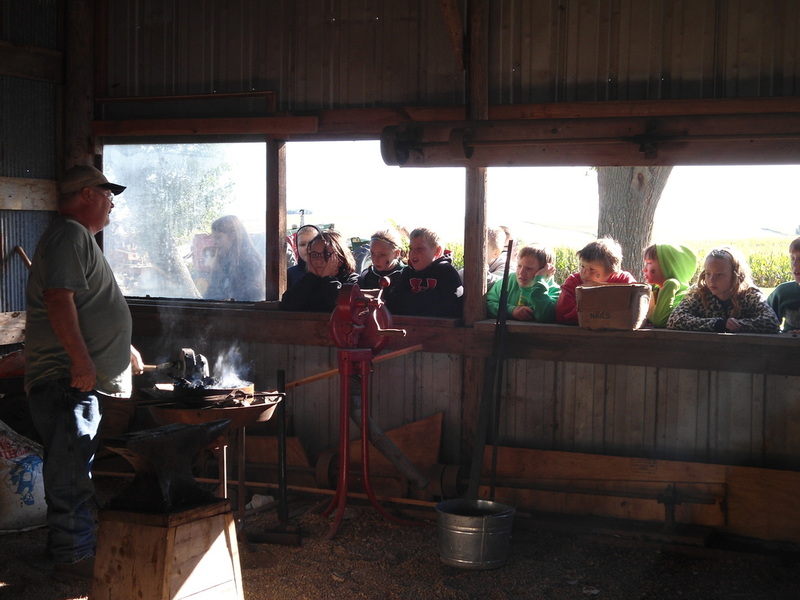 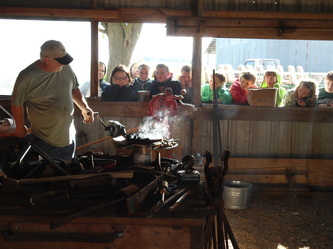 It was very interesting because we helped and watched people make a rope.We also saw a blacksmith that even made us a spoon. 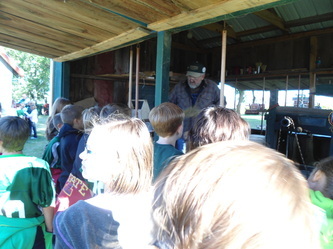 W also saw a broommaker and he told us what he made them from and showed one that wasn't done. 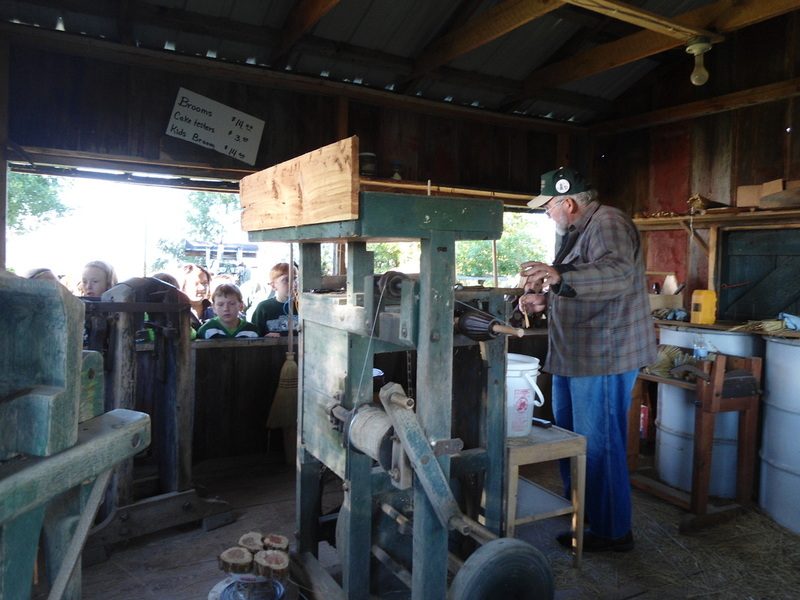 He also showed us a cake tester (the end of a broom that is broke off).We saw someone make wooden shingles.They made us homemade popcorn. 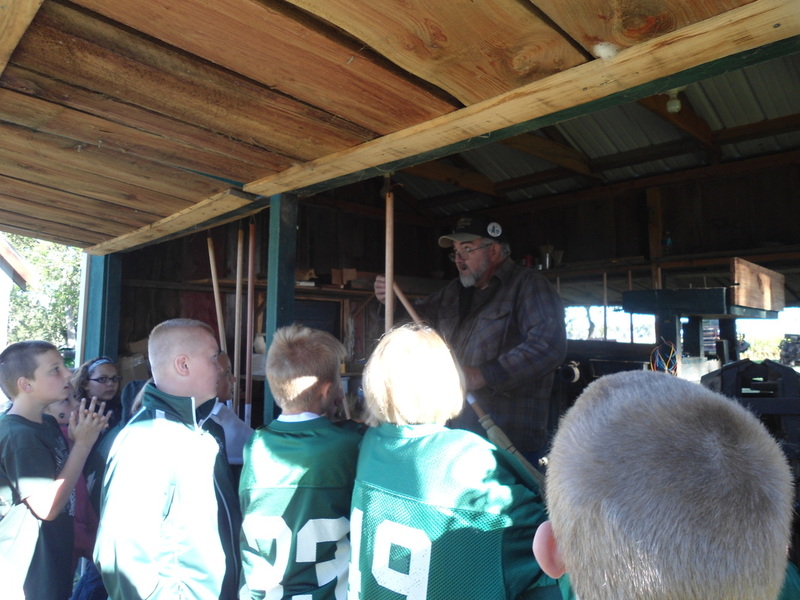 We also saw them make supporting boards for the roof and the structure of the house. 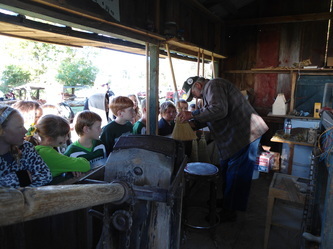 They also made sorghum syrup. 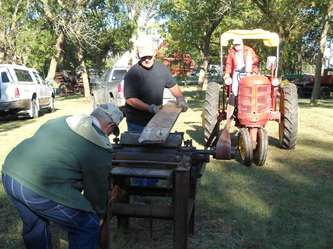 We also watched them make fresh apple juice. 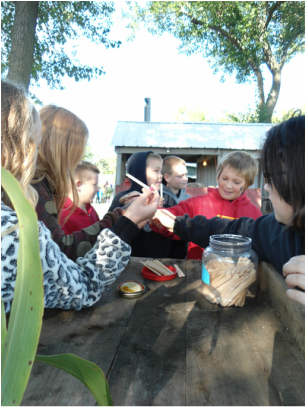 We even helped!